Wallpapers tagged with 'Location: Speicherstadt'. You are currently browsing the 1 desktop wallpapers that were tagged with 'Location: Speicherstadt', beginning with the most popular images. 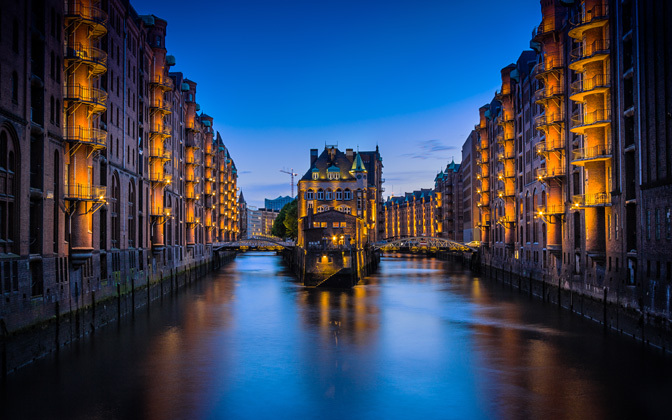 This photo was taken in the "Speicherstadt" District in Hamburg (Germany). On midday this place looks kind of boring but in the late evening, the lights go on and the place turns into a great photo spot. Photo Settings: 22mm, f/11, 30 seconds, ISO 100.